At 1900 N.E. 10 Street, amid rows of low income neighborhood blocks with blight and abandoned buildings, there is a little brown school building. When school is in session, it is filled with students from homes just like one would expect: poor families, kids with parents in prison, adults who are addicted to drugs, neglectful, absent in their kids’ lives. Some have ceded their parenting to grandparents. These are proven obstacles to student achievement. The building’s school on the first floor, F.D. Moon Academy, is now one of Oklahoma City’s most troubled elementary schools. Federal law has compelled the district to seize control and turn it around. But go upstairs to the second floor, and you will find irony incarnate. On that second floor, there are the same kinds of kids from the same backgrounds. But this is (Knowledge is Power Program) KIPP Reach Academy, a charter school. It is the highest achieving middle school in the Oklahoma City Public School District, including those which can, critics say, “cherry-pick” students. KIPP Reach is a tuition-free, open-enrolment, college preparatory middle school serving 277 underserved students primarily living in neighborhoods near Martin Luther King and NE 10 St.
Seventy-nine percent of students at KIPP are African-American, and 81 percent qualify for federally-subsidized meals. The school operates from 7:25 a.m. - 4:30 p.m. weekdays. Classes are also held once monthly on Saturdays and for an extra two weeks in the summer. In the most recently reported year, 2009-2010, KIPP students reached 100 percent proficiency in reading and math, according to the Oklahoma State Department of Education. The school’s science scores were close behind. KIPP Principal/Oklahoma City founder Tracy McDaniel believes reading problems are pervasive in schools because teachers are teaching words, not retention and comprehension. Reading is the building block of all successful learning for a child, he believes. “We teach reading strategies. Research will tell you that if you teach them at their level, and teach them reading strategies, they will learn,” McDaniel said. The focus on reading is so intensive, that after three years, students from KIPP intuitively practice several hundred strategies that have given them great reading comprehension and retention. What is KIPP’s most potent weapon? Follow-through. It trains administrators rigorously. They, in turn, train the teachers rigorously. The students benefit, and the results amaze. Forty-five students from KIPP Reach’s 8th grade class of 2007 are receiving high school diplomas this spring. Eighty percent of these students have been accepted to two- or four-year colleges, including Oklahoma State University in Stillwater, University of Central Oklahoma, and Hendrix College. Most will be the first in their families to attend college. Several students now are headed into freshman high school classes at prestigious private schools such as Casady in north Oklahoma City, and elite boarding schools across the nation. McDaniel is asked repeatedly what makes KIPP work so spectacularly. Each time, he gives more or less the same answer. It is a simple one. A slogan adorns the wall, and it captures part of the answer: “Work hard. Be nice.” He and the teachers at KIPP make that happen. Teachers take phone calls when a student needs their guidance on any given night. Critics argue McDaniel has some kind of special parents aboard. McDaniel has been accused of recruiting special parents, special kids. He has families with siblings at F.D. Moon, so that does not seem true. He also has families whose students dislike the rigor and leave his school. Oklahoma City Superintendent Karl Springer says he is implementing rigorous programs downstairs at Moon. When Springer’s staff explained the greater rigor and professional teacher development that would now be expected at Moon, many teachers just quit. Teacher’s union members are discouraged at KIPP; they just aren’t interested, McDaniel said. KIPP has reached out to Oklahoma City school district leadership and his efforts have been received cordially. No accord has emerged yet, but there is dialogue. Each summer, KIPP administrators and educators attend a prestigious reading education program at the University of Columbia every summer. The balance of the summer is spent planning for the next year and fund-raising to fill out the school’s slender budget. Chesapeake Energy and the Inasmuch Foundation are substantial supporters. KIPP Reach, now in its 10th year, is part of a national network of 99 public schools in 20 states and the District of Columbia. With a longer school day and year, KIPP students are in classes 50 percent more time than traditional public school children. To date, over 85 percent of students who have completed 8th grade at KIPP have matriculated to college. As McDaniel tells it, KIPP Reach prepares students for academic success and success in life by providing a rigorous college prep academic curriculum, more time on task, high expectations for all of students and strong character education to build the skills and knowledge necessary for success in school and life. KIPP, a nationwide program founded by two educators, now boasts 99 sites. The most dramatic change has occurred in Houston school district, where 16 KIPP schools have been established. For now, in the depth of summer, downstairs at F.D. Moon, the halls are eerily dark and quiet. If KIPP has proven anything it is this: With the right tools and support, all students can learn. Before long, the halls will be noisy and brighter, as students return for the city system’s new continuing learning schooling calendar. It is clear, at least to some observers: F.D. Moon students are not failing, they have been failed. 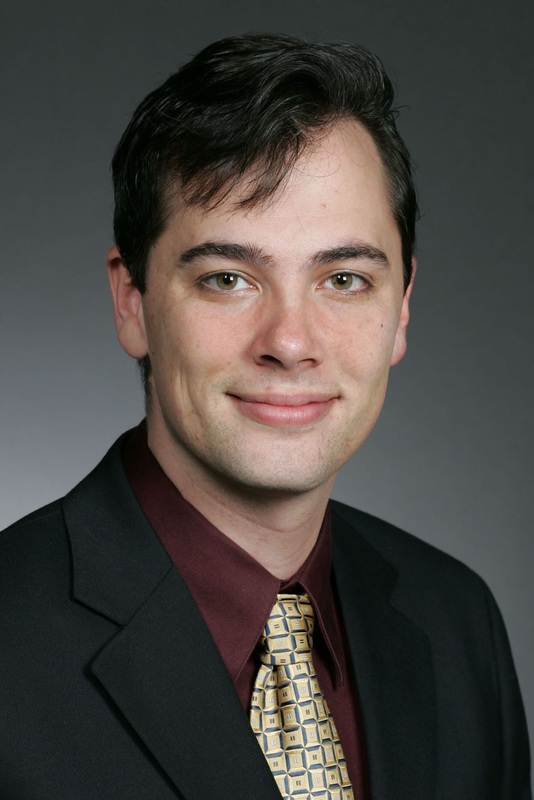 Editor’s Note: Stacy Martin is a researcher and staff writer for CapitolBeatOK. She is also editor of The City Sentinel, where portions of this story were first printed this week. 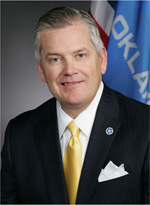 The lead spokesman for Superintendent of Public Instruction Janet Barresi rebuffed criticisms of his boss and of the state Board of Education, contending the governing body for public schools in Oklahoma faced “tough decisions” and made them within the law and under authority granted to the state Department of Education. In an interview with CapitolBeatOK, agency Communications Director Damon Gardenhire defended Barresi in particular against assertions her priorities were misplaced. He continued, “The Board and Superintendent Barresi had a lot of tough decisions to make, and there was not much room for cuts that avoided upsetting someone. This week, two Democratic state Representatives and the leader of an important non-union association of educators criticized the board’s decision not to fund stipends for National Board Certified teachers, while allocating funding to early childhood education programs. Gardenhire sketched a process Barresi followed in preparing for last week’s decisions on how to spend school activities funds, a resource controlled by the state Board. “She asked the fiscal staff to prepare options,” Gardenhire said. Based on a range of possible approaches, limited by the money available, he contends Barresi and the board acted properly. One pointed criticism from teachers’ advocates has been that the board did not adequately fund the FBA (flexible benefits allowance). However, Gardenhire provided information that he believes clarifies the issue. He said, “We did fund the benefits package, but in a 12 months cycle and not a 14 months cycle. The Legislature has made a firm commitment that they will help us with many funding issues in Fiscal Year 2013, but the money was not there in the 2012 cycle. He continued, “Many board certified teachers I’ve talked with have, after discussing the issue, told me they didn’t realize it was a $15 million item. Those who are saying ‘find the money’ don’t like or aren’t willing to point out how they would have paid for their preferences. Concerning one new state board member (Phil Lakin) serving in capacities that will benefit from the early childhood spending, Gardenhire demurred on addressing concerns of a conflict of interest, saying that the explicit requirement to act (with the language “shall”) did not leave the Board and Barresi an option to avoid funding the program. From the $401 million in school activities funds the board controlled for Fiscal Year 2012, Barresi herself says the approach taken reflects “a new normal” of tight budgeting. Among others, advocates of early childhood education applauded the board’s decisions, as did rural Republicans who cheered retention of financing for Agriculture Education. The Oklahoma Council of Public Affairs recently unveiled a new transparency website AccountAbilityOK.com. The site allows anyone to search, in a very user-friendly format, financial data for state government. The data for the website comes from the Oklahoma Office of State Finance, but the site uses innovative business-intelligence software called QlikView which allows for fast navigation through the data. "In years past, scrutiny of Oklahoma government spending largely has been reserved for a few powerful legislators, staffers, and the occasional lucky journalist who stumbles upon a confidential tip. AccountAbilityOK.com changes all that. As the name implies, it gives citizens the ability to search the accounts—and thus empowers citizens to bring accountability to government." I have included this new website in my State Government Links on this blog. I continue to encourage my constituents and all Oklahomans to take advantage of sites like this and to share your thoughts and findings with your legislators. I appreciate OCPA's work on fiscal responsibility and transparency in State government. The Oklahoma Supreme Court released a ruling Tuesday affirming the position of the Oklahoma Public Employees Association that state employee birth dates should remain confidential. The issue came to the forefront when reporters made a batch request of all state employee names and birth dates from the Oklahoma Office of Personnel Management in February of 2010. OPEA filed an injunction on behalf of state employees. 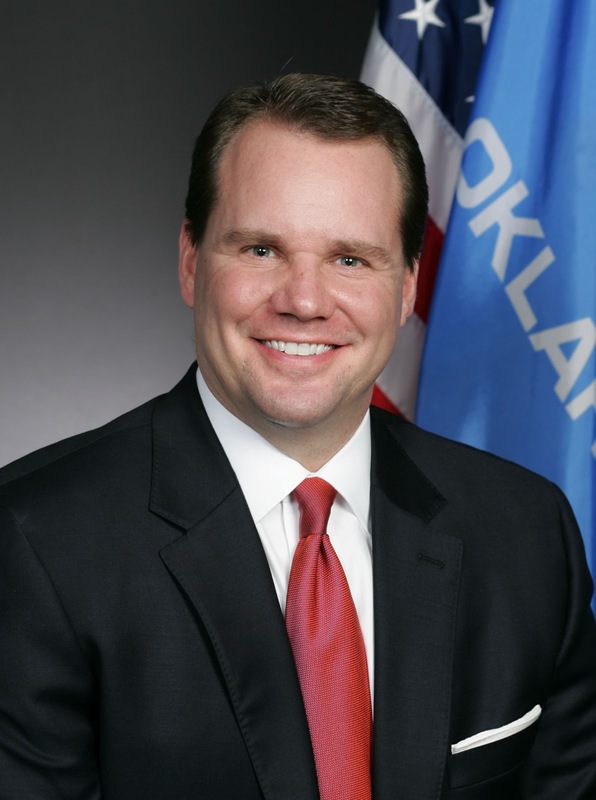 State Rep. Randy Terrill said today’s Oklahoma Supreme Court ruling is a victory for the personal privacy and safety of Oklahoma citizens who have state jobs. The Oklahoma Supreme Court ruled that certain information related to public employees, particularly birth dates and personal identification numbers, should be released only in limited circumstances. The court ruled that a balancing test should be applied that weighs the public interest against the privacy and safety concerns of government employees. Terrill said the decision clearly prevents the future blanket release of all state employees’ personal data. 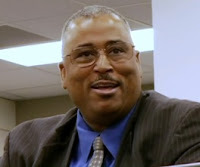 In 2010, Terrill authored legislation that would have prevented the blanket release of state employees’ personal information. 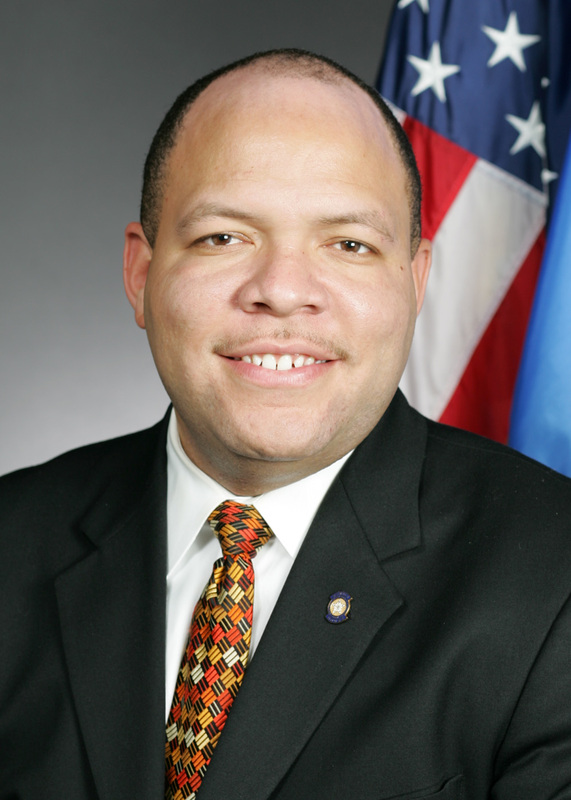 The bill was supported by the Department of Public Safety, Oklahoma State Troopers Association, Oklahoma State Bureau of Investigation, Oklahoma Bureau of Narcotics, Office of the Oklahoma State Fire Marshal, ABLE Commission, District Attorneys’ Council, CLEET, Oklahoma Office of Homeland Security, the Office of the Medical Examiner, Oklahoma Department of Corrections, and the Oklahoma Public Employees Association. In addition to concerns about identity theft and fraud, supporters cited public safety concerns, warning that criminals could use employees’ personal data to identity the homes and family members of law enforcement officials. Openness in government is essential to the functioning of a democracy. The greatest threat to privacy comes from government in secret. In order to verify accountability, the public must have access to government files. Such access permits checks against the arbitrary exercise of official power and secrecy in the political process. It gives private citizens the ability to monitor the manner in which public officers discharge their public duties and ensures that such actions are carried on in an honest, efficient, faithful, and competent manner. The purpose of openness in government is not fostered by disclosure of information about private citizens that is accumulated in various government files but reveals little or nothing about an agency's own conduct. Rather, governmental agencies and the courts have a special obligation to protect the public's interest in individual privacy by acknowledging that public records are being harvested for personal information about individuals, contributing to a surge in identity theft, consumer profiling, and the development of a stratified society where individuals are pigeonholed according to the electronic trail they leave of transactions that disclose personal details. [In enacting recent legislation], the Oklahoma legislature sought to construct an exemption which would require a balancing of an individual's right of privacy against the preservation of the basic purpose of Oklahoma's Open Records Act. The device adopted to achieve that balance was the limited exemption where privacy was threatened for the clearly unwarranted invasion of personal privacy. We determine that the legislative language utilized in [the recently passed legislation] indicates the legislature intended to provide a non-exclusive list of examples of information, release of which may amount to a clearly unwarranted invasion of State employees' personal privacy and that where a claim is made that disclosure would constitute a clearly unwarranted invasion of personal privacy within the meaning of the statute, application of a case-by-case balancing test is utilized to determine whether personal information is subject to release. We determine that when the balancing test is applied to the facts presented, where significant privacy interests are at stake while the public's interest either in employee birth dates or employee identification numbers is minimal, release of birth dates and employee identification numbers of State employees “would constitute a clearly unwarranted invasion of personal privacy” [under the recently enacted state law]. Governor Mary Fallin is leading nearly 70 delegates from the state’s biosciences industry this week at the BIO 2011 International Convention in Washington, D.C., an international biosciences industry event. Governor Fallin will be joined by scientists, business leaders, educators and economic development officers from across the state. 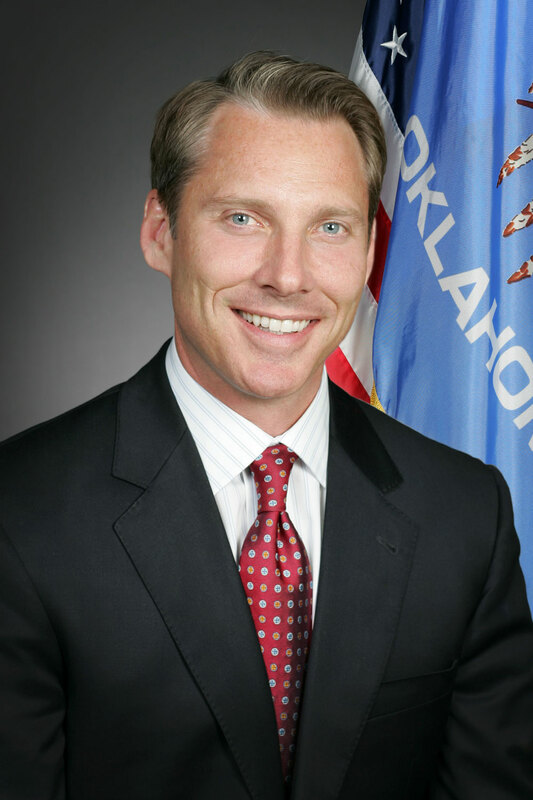 The governor will speak at a reception hosted by the Oklahoma delegation and will attend meetings to seek business connections to foster growth in the biosciences industry in Oklahoma. According to the Greater Oklahoma City Chamber of Commerce, the region’s bioscience employment grew 17.8 percent between 2001 and 2008, outpacing the 15.9 percent growth nationally. The industry continues to provide high-quality, high-wage jobs, with an average annual wage of nearly $50,000, more than $12,000 greater than the average private sector annual wage for greater Oklahoma City’s total private sector. Between 15,000 and 17,000 attendees from across the globe are expected to attend this year’s BIO 2011 conference. The state will be featured in a 1,600-sq.-ft. Oklahoma Bioscience Pavilion which will be staffed by scientists and bioscience representatives who will answer questions from those who might be looking to do business in Oklahoma. The marketing efforts at the conference will be under the banner of the Oklahoma Bioscience Association, an organization formed in 2008 to promote the growth of the Oklahoma bioscience industry through partnerships between Oklahoma’s bioscience companies, research institutions, scientists, economic development organizations and the business community. "In addition to getting the word out about the Governor’s hard work for reform, I feel it is also important to mention the work of other newly elected and appointed statewide officials." A Refreshing Change of Pace, a column by Murphey reflects on his work with "several new officials on various modernization proposals" and how he "enjoyed observing and (when possible) assisting them in their efforts to institute reforms." In this first in a series, Murphey highlights new Secretary of State Glenn Coffee. In difficult financial times, when you sit down to plan your household budget, you’re often faced with hard choices. Perhaps you’ll defer new purchases or cut back on things you can no longer afford. As education leaders, we can't budget based on money that doesn't exist. We have to deal with real dollars and real numbers. It would be wrong to build a budget on shifting sand. It would be wrong to provide false hope if funds simply aren't there. You wouldn’t do it with your household budget, and I certainly won’t do it with taxpayers’ money. On June 23, the State Board of Education approved a fiscal year 2012 budget for the state’s school activities fund, a more than $401 million portion of the annual state education budget. This is the third year for a state budget shortfall. We have to work smarter with less, and we’ve made difficult decisions about funding for programs. Above all, our focus has been on what is best for students. A short breakdown of the numbers helps explain the financial realities we face. Overall, the state faced a $500 million shortfall this year. At the end of the legislative session in May, Oklahoma’s education budget received a 4.1 percent cut (a nearly $100 million reduction). The $401 million school activities budget provides money for a variety of instructional programs. It is part of an overall $2.27 billion education budget that includes $1.89 billion already set aside for financial support of schools (automatically passing through Oklahoma’s state aid funding formula). In planning the $401 million school activities fund, our first priority was to focus on core areas of student learning and achievement -- and to honor the state’s commitment to fully fund teacher retirement and health benefits for teachers and school district employees. Teachers’ retirement and health benefit budget items alone amount to more than $330 million, and that doesn’t leave a lot of room for other expenditures. But I’ve said from the first day I took office that I was committed to ensuring that teachers’ retirement and health benefits were fully funded so that local school administrators can plan ahead. With this budget, we’ve empowered local school officials to make decisions about what’s best for their districts. Local school officials also have flexibility to use additional funds to pay for bonuses for teachers. With the dollars left after funding health benefits and teachers’ retirement, our primary focus has been on those things that have the biggest impact on kids in the classroom. For example, we funded reading sufficiency programs to make sure kids will be able to read at grade level. We funded remediation for those students struggling with ACE graduation requirements. We funded Agriculture in the Classroom programs to serve a clear need in rural communities. Certainly, many programs were also cut. For example, we slashed the charter schools incentive fund to zero. This is a challenging year, but I believe we’ve been able to strike a good balance by making sure that the needs of students are met first and foremost. Taxpayers must deal with financial realities when planning household expenses. We should expect nothing less from state government. Financial challenges have forced many Oklahoma consumers to make lifestyle changes to adapt in the current economy. Sometimes those changes can inadvertently cost you – or save you money – on your car insurance. At the request of Governor Mary Fallin, Lieutenant Governor Todd Lamb today declared a State of Emergency for 33 Oklahoma counties due to extreme or exceptional drought conditions and the associated wildfires, which threaten the lives and property of the people in this area. Counties included in the State of Emergency are: Alfalfa, Beaver, Beckham, Blaine, Caddo, Canadian, Carter, Cimarron, Comanche, Cotton, Custer, Dewey, Ellis, Garfield, Garvin, Grady, Grant, Greer, Harmon, Harper, Jackson, Jefferson, Kingfisher, Kiowa, Love, Major, Roger Mills, Stephens, Texas, Tillman, Washita, Woods and Woodward. Already more than 10 fires have been reported throughout the state causing evacuations in some areas. Continuing drought conditions will likely cause additional fires in the following weeks. This Executive Order marks a first step toward seeking federal assistance should it be necessary. Note: The Oklahoma Constitution provides that when the governor is out of the state the lt. governor is acting governor. 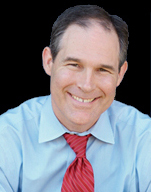 CHICAGO – Oklahoma Attorney General Scott Pruitt was elected vice-chairman of the Midwestern Region of the National Association of Attorneys General (NAAG) by his colleagues during the association’s meeting this week in Chicago. Pruitt will serve with Midwestern Region Chairman Greg Zoeller, of Indiana. was surprised, he says, at how far behind the office was on required audits of county governments when he took the helm on January 10. “As policy, those audits are supposed to be done every year, and must, by statute, be done every other year. When I took office and worked with the staff to identify challenges, it became clear that some counties had not been audited since 2005,” he said in an interview Wednesday (June 22). The pace of work is summarized, he said, by comparing three months of productivity this year with that of 2010. The agency completed 78 audit reports in the first three months of 2010; it had finished 112 audits the same time period this year. Jones is most concerned about special investigative audits -- which come at the request of the attorney general and local District Attorneys -- must be given priority. The long-anticipated investigatory look at the Broken Arrow public school system was finished this month. That audit was first requested in April 2009. “I thought that kind of time gap was the exception, but learned it was the norm,” Jones told CapitolBeatOK. Legislative leaders praised the financial plan approved today by the state Board of Education, saying it maximizes classroom funding even in a tough financial environment. 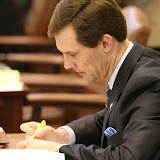 State Senator Clark Jolley also praised State Superintendent Janet Barresi and members of the state Board of Education for funding reading programs throughout the state. Superintendent Barresi today recommended that the board approve an approximately $401 million school activities budget for fiscal year 2012 that includes more than $6 million for reading sufficiency programs. State Rep. Mike Shelton has requested a legislative study to determine if the state can enact policies that result in all day care centers having liability insurance. In 2008, Shelton authored “Demarion’s Law,” a bill requiring day care facilities to carry liability insurance. The legislation was filed after a pre-school child, Demarion Pittman, was accidentally left in a hot van and suffered injury that left him unable to walk or talk. Although the legislation required day care facilities to carry a minimum of $200,000 in coverage, the law included an exemption for facilities that could not get liability insurance. Under the law, those facilities are required to notify parents of the lack of coverage. Shelton said too many day care centers continue to operate without liability insurance, leaving families potentially facing the financial burden for any accidents. Senate President Pro Tempore Brian Bingman, R-Sapulpa, announced committee assignments for twenty-nine interim studies that have been approved by the senate leader today. 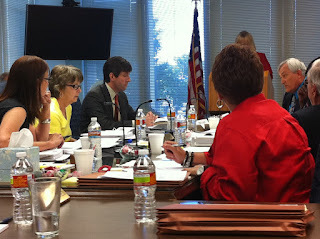 Committee meetings will start this summer and conclude before the session begins in February of 2012. Some of the studies include issues that were promised by the Senate before session adjourned and others are new requests. All study requests were granted and one study regarding water issues will be consolidated into a joint effort between the Senate and House that was announced last week. “We look forward to learning more about the specific challenges and opportunities each of these issues bring,” concluded Bingman. For an overview of interim studies please see the list below, or for more detailed information, go to the official Oklahoma State Senate website at www.oksenate.gov. Rob McClendon, Host of the OETA show Oklahoma Horizon interviews Dr. Temple Grandin, a top advocate in the understanding of Autism, and also respected for the invention of more humane animal handling practices. Grandin is a person with high-functioning Autism. Her life was the subject of an HBO film released in 2010 which was nominated for 15 Emmys winning five awards. This interview took place last summer when Grandin was in Stillwater to receive an award on the OSU campus. The show aired last fall. In this part of the interview Grandin discusses the importance of the right education for children with Autism. I was interviewed at the same time about House Bill 3393, the Lindsey Nicole Henry Scholarship for Students with Disabilities Program, which had recently been signed into law. She is a fascinating person and I was fortunate to have the opportunity to visit with her between interviews about the importance of students with Autism receiving the right kind of education. 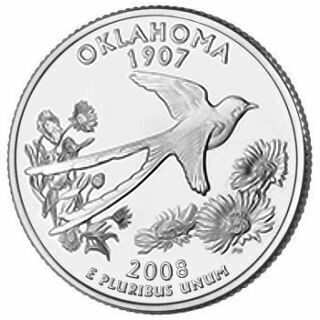 The June edition of the Oklahoma Economic Report from the State Treasurer's Office is now available. Amidst credible contentions that national teacher unions are losing memberships, the Oklahoma Education Association lost 707 members during the 2009-2010 year. 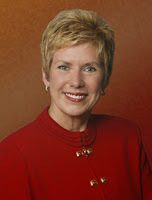 The union’s Executive Director, Lela Odom, confirmed the figure. The union's 2010-2011 dues were $438 according to sources who spoke on condition of anonymity. An OEA insider said the union will raise the dues figure to $450 for the upcoming school year. OEA did not respond to repeated requests to clarify or break down the membership number that Odom gave in her statement. If all 34,886 members she cited were active classroom teachers as CapitolBeatOK requested, that would add up to far more than the $5.98 million in dues income reported on the OEA’s 2009-2010 tax filing. The union’s federal tax filing for that year shows total income of $8.2 million The other $2.2 million in revenues was attributed to a variety of sources, including program revenue, contributions and grants, other revenue and investment income. The 2009 tax records came from Guidestar, an online source for tax-exempt organization financial data. The union is classified as a tax exempt, 501 (c) 6 organization. Its EIN is 73-0384310. The Internal Revenue Service downloads its master files for 990 tax-exempt groups to the Guidestar site, IRS spokesman David Stell confirmed. Other information of note on the Form 990 for the year it lost members showed Odom received $229,768 in salary and “other income,” which was not detailed. The OEA President at the time received $114,229 in total compensation. In other news, two OEA local affiliates, the Choctaw/Nicoma Park Association of Classroom teachers, and the Allen Association of Classroom teachers, both have lost their tax-exempt status. Their tax status was revoked when the Internal Revenue Service (IRS) recently conducted a nationwide cancellation of 275,000 tax-exempt organizations for failure to file annual reports. The state Department of Education web site shows the Choctaw-Nicoma Park school system had 314 educators, for the 2009-2010 school year, but that does not mean all were OEA members. Also, the Allen OEA local affiliate lost its tax exempt status. The district employed 34 educators that year, but again, that does not mean all were among the union's members. Representatives of the two locals could not be reached for comment. 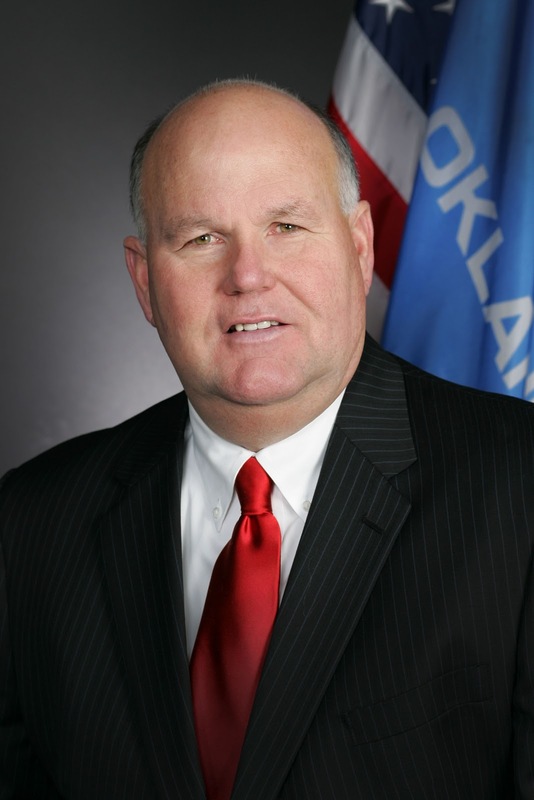 Governor Mary Fallin today announced the appointment of Maj. Gen. Lee Baxter (retired) to the State Board of Education and the State Board of Career and Technology Education. Baxter, of Lawton, is the president and owner of Signal Mountain Associates, Inc. a general and defense consulting firm. In addition, he is the owner of Medicine Park Management, managing partner at Mount Scott Management, and partner at Cobblestone Canyon, all real estate development companies. He also serves as an adjunct professor at Webster University in St. Louis, MO. Baxter previously served in the U.S. Army as the commanding general at Fort Sill. Previous jobs also include, vice president of economic development at Cameron University, president of BancFirst, vice president of Communications Technologies, Inc. in Chantilly, VA. and president and COO at JB Management Inc., in Alexandria, VA.
Baxter has an undergraduate degree in philosophy of english from the University of North Dakota and a masters in personnel management from Central Michigan University. He also is a graduate of the U.S. Army War College in Carlisle, PA.
Maj. Gen. Baxter will serve on the State Board of Education for a three year term. He will serve the State Board of Career and Technology Education for a six year term. He is replacing Mary Arnn on both boards, who resigned. The McCarville Report Online reports the surprise withdrawal of the first candidate to file: State Rep. Paul Wesselhoft. McCarville includes a complete list of candidates on his blog. The special election is to fill the unexpired term of Sen. Jim Reynolds who was elected Cleveland County treasure. Reynolds is leaving his senate seat to take office in his new position. CHOCTAW, Okla., June 13, 2011 - Families in Oklahoma now have access to an innovative new public school with the opening of the Oklahoma Virtual Charter Academy (OVCA). OVCA is a tuition-free online public charter school that will serve students in grades kindergarten through high school beginning this Fall. The school is open to eligible residents of Oklahoma. OVCA is now accepting applications to enroll in the school. The school is planning to host numerous community events and information sessions for parents and students interested in learning more about the online public school. Families can receive more information about OVCA at www.K12.com/ovca. OVCA was recently approved by Choctaw-Nicoma Park Public Schools. The charter school is governed by an independent, nonprofit school board. Kristi Gifford, board president, said, "The board is excited to offer this public school option to Oklahoma families. This school will offer parents an excellent school choice with a focus on personalized learning through the use of a high quality curriculum. For many families, online schools are the best opportunity for their children to succeed academically. We thank the Choctaw-Nicoma Park Schools for making this possible." Dr. Jim McCharen, Superintendent of Choctaw-Nicoma Park Public Schools, said, "Choctaw-Nicoma Park Public Schools is proud to partner with OVCA to expand education opportunities for Oklahoma's students. Online learning is growing as educators look for new ways to individualize learning. OVCA will help meet the education needs of students and help foster a close partnership with teachers and parents." OVCA plans to use the curriculum and program offered by K12 Inc., the largest provider of K-12 online school programs in the U.S. The K12 program is used by school districts and charter schools across the country and has received numerous awards for innovation and excellence. OVCA will offer students the opportunity to receive a personalized learning program outside the traditional classroom, usually at home. Students will have greater flexibility to work at a level and pace that fits their individual needs. Students will benefit from a wide offering of courses including core subjects, world languages, AP and honors courses, and other exciting high school electives. Certified teachers will provide instruction and support and work in partnership with the student's "Learning Coach" – a parent or responsible adult. Students will access online lessons, participate in teacher-led web-based classes, and also receive off-line education materials delivered directly to their home. Students will be required to meet accountability standards, including academic and attendance requirements, and participation in state assessment tests. The depleted state Rainy Day Fund will be replenished with a deposit much higher than projected, based on the pace of revenue collections as the 2011 fiscal year winds down, Office of State Finance Director Preston Doerflinger announced Monday. "General Revenue Fund collections for May show the state economy is still surging, dwarfing the national unemployment rate and bringing in revenue well above the official estimate," Doerflinger said as he released the OSF’s monthly General Revenue Fund report. "We won’t know the figure until next month, but it's certain the Rainy Day Fund deposit will be substantially higher than the $71.1 million forecast at the February meeting of the Board of Equalization," he said. "It could easily double that amount." The fiscal year ends June 30 and the Rainy Day Fund deposit will be made in July. The state's savings account now contains only $2.03 after having a record $596.6 million before the recession set in and the state experienced huge budget shortfalls. A constitutional amendment adopted by voters in 2010 raised from 10 percent to 15 percent the cap on the amount of money that can be in the Rainy Day Fund, based on the General Revenue Fund certification from the preceding fiscal year. Gov. Mary Fallin hailed the latest revenue figures and the prospects for a hefty deposit into the Rainy Day Fund.